Have Republicans Convinced Paul Ryan To Serve as House Speaker? When Majority Leader Kevin McCarthy left the race for House Speaker two weeks ago, Republicans were left in shock and desperately looking for a replacement. Since then, a number of Republicans have made many efforts to convince former vice presidential candidate and current House Ways and Means Committee Chairman Paul Ryan to run for the position. Initially Ryan flatly rejected the idea of taking on the role of Speaker, but has been seriously considering the position and consulting with family for days. Late yesterday Ryan made an announcement saying he's willing to do the job, with the preconditions of keeping his time on weekends with his family and getting Republicans to unite behind him in what he described as moving from an "opposition party" to a "proposition party." 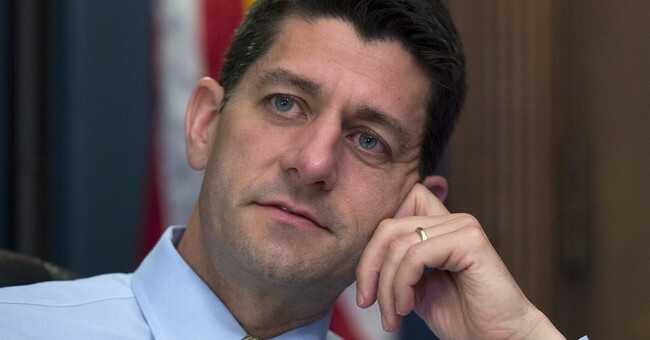 "I came to the conclusion that this is a very dire moment not just for Congress, not just for the Republican Party, but for our country," Ryan said. "We need to do this as a team." "I cannot and I will not give up my family time," Ryan added. As Ryan noted in his remarks, he expects to hear from his Republican colleagues about his conditions by the end of the week. Until a decision is made and a new Speaker is elected, current Speaker John Boehner will remain in his position.